Every year The Prayer Institute awards scholarships to graduating high school seniors headed to college. We welcome qualifying students to apply for scholarship funds to assist with their educational expenses. At The Prayer Institute, we understand that education offers tools to enhance the opportunity for an excellent professional career and a learning experience that will lay the foundation for a successful life. Download the scholarship application packet which provides information and guidelines to follow in applying for this scholarship. Congratulations on your upcoming graduation from high school. The Prayer Institute is pleased to offer the opportunity to further your education. We understand that education opens the doors to new horizons beyond our imaginations. According to the Global Partnership for Education, “education has the power to make the world a better place.” We invite you to apply for a scholarship to be used for your tuition, room and board, or textbooks at the academic institution of your choice. The Prayer Institute offers two scholarship choices. You may apply for the General Academic Scholarship or the Dr. Evelyn E. Thornton S.T.E.M. Scholarship. The S.T.E.M. application is for those students specifically majoring in Science, Technology, Engineering, or Math. Individuals who are eligible must be registered for fall 2019 with a minimum of 12 hours and attend a four-year college or university, community college, or vocational/technical program. Previous recipients are not eligible to apply. This scholarship application package provides information and guidelines to follow in obtaining this scholarship. The following information contains selection criteria and an explanation of the application process. An essay limited to 500 words describing your career goals and objectives and how prayer and being a Christian will enhance your future. This essay should also share how you will use principles that you have learned at your church in your career and future. Essays above the 500-word limit will automatically be disqualified. Please submit your application as early as possible. The final application acceptance date is Sunday, July 7, 2019. No applications will be accepted after this date. Late and/or incomplete applications will automatically be disqualified. NO EXCEPTIONS! Please note that financial need is not a criterion for this scholarship and this application is open to the community. A Scholarship Application is included in this package. You can also download the application from our website; www.prayerinstitute.com. Be sure your application is complete including high school transcripts, ACT or SAT scores and recommendation letters. Make sure your essay is the adequate length (no more than 500 words), typed, double-spaced and grammatically correct. You can bring your application to The Prayer Institute office in a sealed envelope during the hours of 9:00 a.m. until 5:00 p.m. at The KBC, 6011 W. Orem Drive, Houston, Texas 77085. You can mail your application to: The Prayer Institute, 6011 W. Orem Drive, Houston, Texas 77085, Attention: Scholarship Committee. If you mail your application, please call the office within one week to verify that it was received. The office number is (713) 726-2528. You CANNOT email your application. Emails will not be accepted. Remember the application deadline is Sunday, July 7, 2019. LATE and/or INCOMPLETE APPLICATIONS WILL AUTOMATICALLY BE DISQUALIFIED. NO EXCEPTIONS. All application-related material submitted to the Scholarship Committee is confidential. Your completed application will be reviewed by the Scholarship Committee. You will be notified of the scholarship award by Friday, July 19, 2019. You will be notified by phone, so please make sure you list correct contact numbers. In addition to the information and application contained in this package, The Prayer Institute would like to offer the following steps for researching and obtaining scholarships, in general. There are vast opportunities for scholarships; therefore, we encourage you to take advantage of the many ways that you can be blessed through financial assistance for your education. See your high school counselor for information about scholarships that may be offered to your graduating class. Many organizations seek student recommendations for scholarships through the school counselor. Check your public and school libraries for publications containing scholarship information. Approach prospective donors directly for information on scholarships they offer. 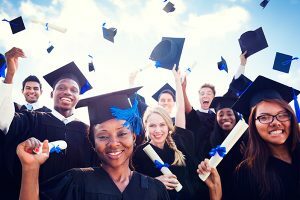 Major corporations, fraternal organizations, community civic organizations, and other groups often provide assistance to graduating students, employees, members, and their children. Compose and keep available a short resumé reflecting your personal, educational, and career goals, which you can send to prospective donors. Include with your resumé your high school transcript, letters of recommendation, and additional information about your academic achievements, leadership potential, and extracurricular activities. Write to the university, addressing the specific department of your intended major, for the criteria of scholarships for that field. Universities and colleges can refer you to organizations that offer scholarships for prospective students of certain majors. Check the Outreach Youth Ministry Blog at Windsor Village United Methodist Church to stay connected with other scholarship opportunities.